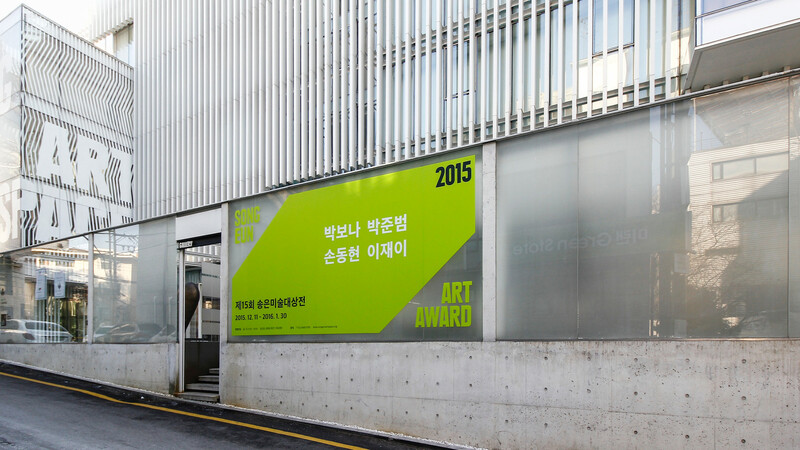 For SongEun ArtSpace in Seoul’s hip district Chungdam, D’art Design Seoul created the communication and graphic design for the 15th ArtAward Exhibition and the solo exhibition of artist Kibaik Yuon. 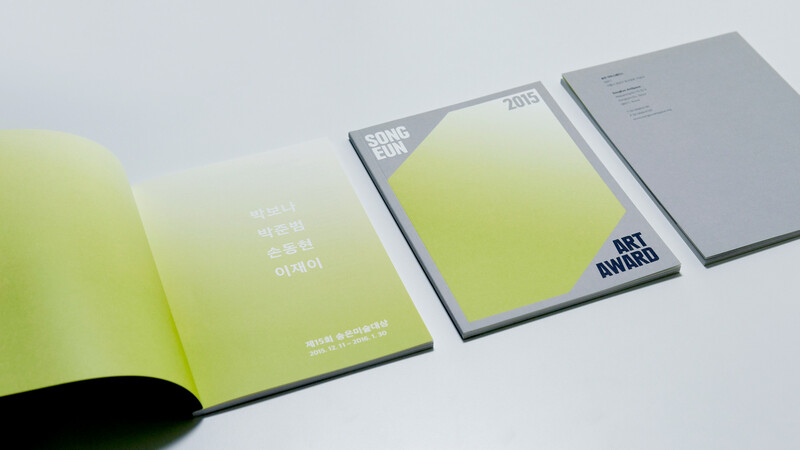 The key visual for the 15th ArtAward exhibition is a flexible hexagon, which is derived from the abstracted cube of SongEun Art”Space”. A light green has been chosen as colouring for this hexagon. This specific light green in combination with a colour gradient is reminiscent of a ray of light and thus visualises symbolically the hope for future arts talents. 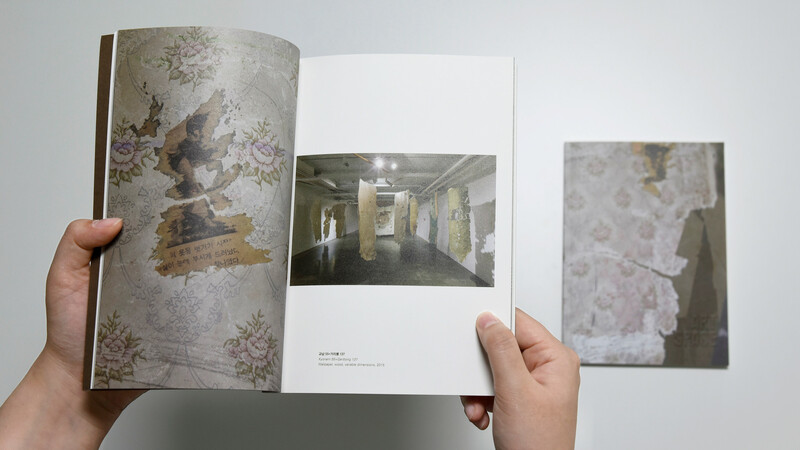 Referring to his exhibition concept “Para-Site”, D’art Design Seoul created the means of communication for the solo exhibition of Korean artist Kibaik Yuon. Yuons work is deeply inspired by personal stories and memories, which can be found via objects and human traces in abandoned homes. These objects have become the content of and medium for his installations and video works. Through them, he portraits a part of society’s history. 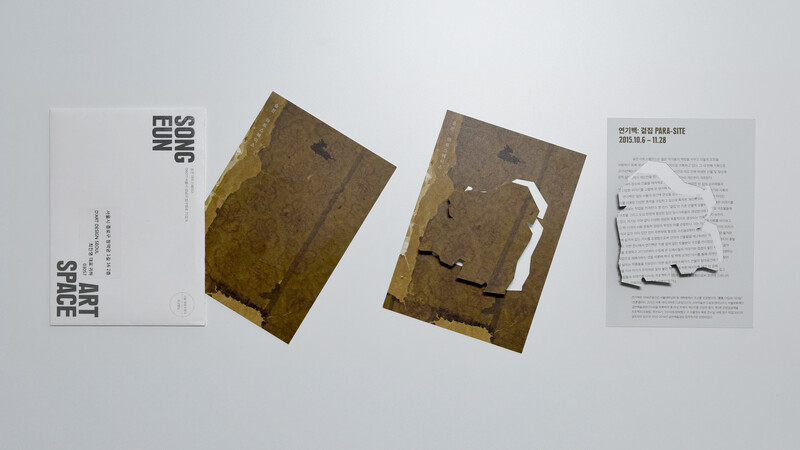 Such a one object can be separated from the invitation card designed by Dart Seoul, and is imprinted alike the strips of wallpaper found by the artist. 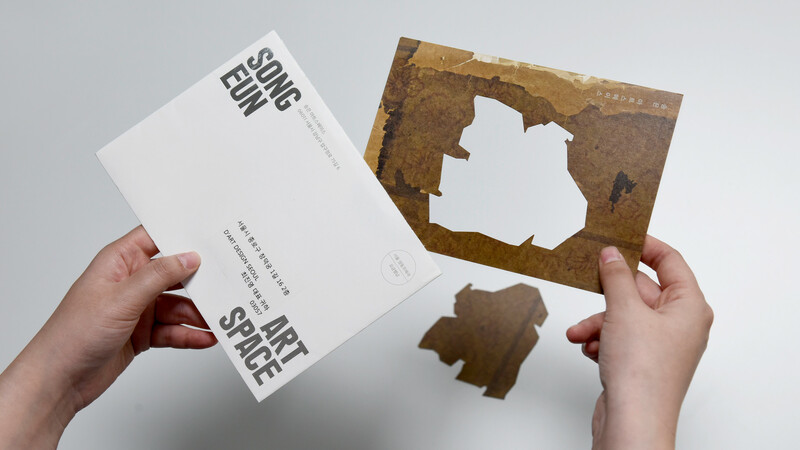 SongEun ArtSpace in Seoul is a non-profit art and cultural space, which aims especially at promoting up-and-coming Korean artists. 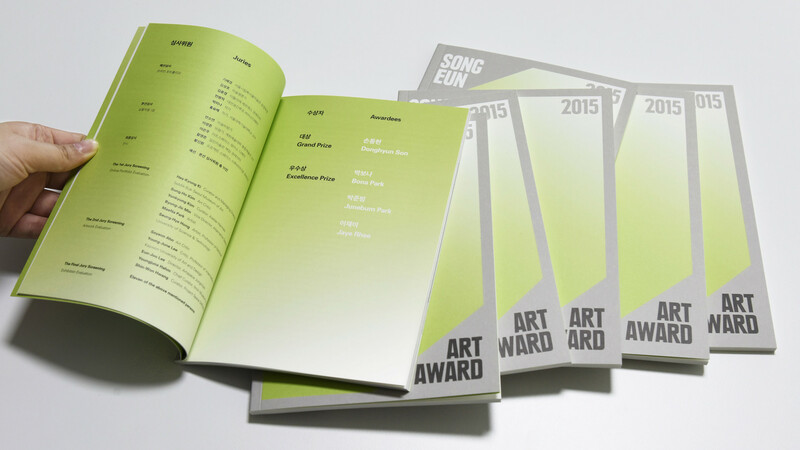 The SongEun ArtAward is awarded annually since 2001.